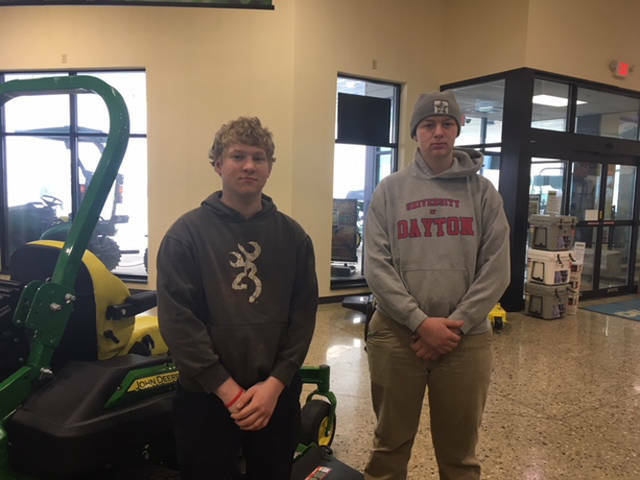 Versailles FFA members Jon Gehret (left) and Jacob Wuebker (right) competed in the Ag Power Diagnostics contest and placed third overall as a team. 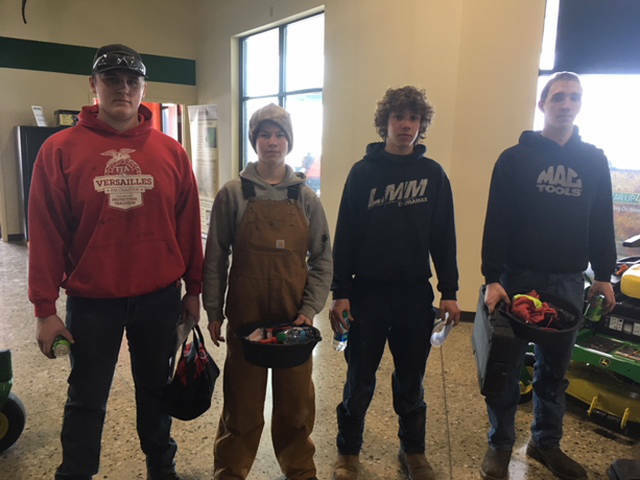 Versailles FFA members (l-r) Sam Gilmore, Austin Timmerman, Kyle Pothast and Isaac Gilmore competed in the Ag Power Diagnostics competition on Saturday. Timmerman and Gilmore were on the second place team. GREENVILLE – The Versailles FFA participated in the Darke County Agriculture Power Diagnostics contest on Saturday at Koenig’s in Greenville. The team of Austin Timmerman and Sam Gilmore placed second, the team consisting of Jacob Wuebker and Jon Gehret placed third, and the team consisting of Isaac Gilmore and Kyle Pothast placed fifth in the county. Versailles FFA will advance to the district contest of Feb. 9. Versailles FFA thanked North Star Hardware and Implement, Nathan Mescher, and Russell Wulber, and Puthoff Brothers Mechanics, and Koenig Equipment for hosting a practice for the Versailles FFA. It also thanked Koenig’s for hosting the county contest and Russell Wulber and Nathan Mescher for coaching the team.